Do you ever need a little peace and quiet from the busyness of your everyday life? Well you have come to the right place…Marcia is offering you an opportunity to take a few minutes each Wednesday morning to learn and incorporate mindfulness meditation practices to enrich your daily life. 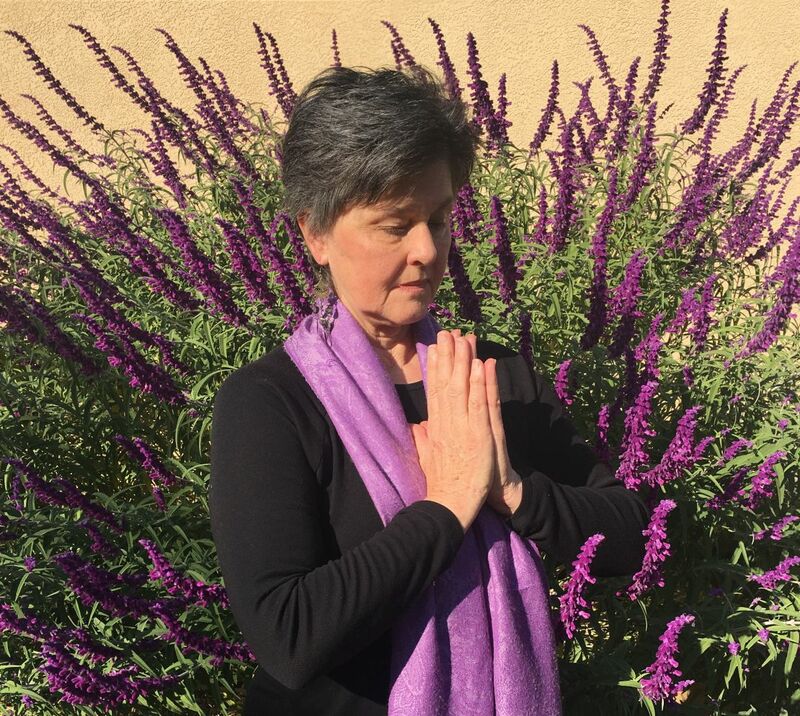 You enter a warm, safe space that will offer you tools to peel away the layers of stress, anxiety, worry or whatever you are experiencing in the moment...an opportunity to be silent and quiet with your inner and outer awareness to balance and find peace as you simply sit and follow the gentle flow of breath. We sit in a small group, listening and observing, as we welcome the sensations of the body, emotions and thoughts...just Being...in pure presence in~the~moment. The offerings of a meditation practice are also healing for your physiology! It is researched and proven to provide calming effects to the Central Nervous System and the lowering of blood pressure...just two of many healthy benefits of a practice of mindfulness meditation. Charlotte Joko Beck: Everyday Zen, Love & Work...A pioneer in her own right, Joko was an inspiration to many. This is one of the first books on Zen Meditation practices that Marcia was first introduced to. This book is a collection of dharma talks given by Joko to students on practice approaches to our everyday lives in love and work. Joko was a master at zeroing into the very center of our humanness by not romanticizing spirituality.....She was to me, an encourager of courage, to face whatever was truly happening in the moment. As she said, "We enter a discipline like Zen Practice so that we can learn to live in a sane way. It takes courage to sit well." Diane Eshin Rizzetto: Waking Up to What You Do...This book is a compilation of excellent practices in the study of the Buddhist Precepts as a way of deepening our individual self inquiry. Under the tutelage of Eshin Rizzettos' wonderfully practical and thoughtful insights into our daily lives, we acquire life enriching tools that help us enter our practice, over and over again. We practice meditation and yoga with kindness and compassion for ourselves, others and the greater good, so that we may all live a sane and peaceful life together. Please come and join us each Wednesday as we sit together in our "yoga kula" community of "peaceworkers". Through our diligent practices we find glimmers of inner peace that begin to translate into our daily lives and ripple out into the communities we live in, love, work and thrive in. We will join our yoga with breath, meditation, body awareness techniques to gain strength, flexibility and balance as we combine with Yamuna® Body Rolling techniques applying them to asana poses, breath awareness & meditation practices. This is a fun, relaxing, and strengthening class offered to ALL LEVELS of yoga experience! Hope to see you soon....Peace to all!